In a post at the SEGA Forums, SEGA Brand Manager Ken Balough has cleared up the confusion regarding where Sonic CD happens in the Sonic timeline and it turns out that SEGA is NOT placing the game between Sonic 3 & Knuckles and Sonic the Hedgehog 4: Episode 1, or anywhere else either. Balough explains that while they’re not moving Sonic CD, the game’s events are very important to Sonic the Hedgehog 4, and that’s why they’re giving fans the chance to play it for the first time with this new port. Remember back during Ep 1, I was saying we had outlined a great story for the Sonic 4 Saga? It all come back to that Cliffhanger at the end – where we brought back Metal Sonic. Sonic CD was never really tied to the numberical Sonics in any significant way back in the 90′s. Sonic 4 is going to change that, and bridge these adventures together in a meaningful way. He’s saying that SEGA aren’t moving Sonic CD in the timeline. It still happened when it happened. The game is basically reference material for Sonic the Hedgehog 4, as its events are important to Sonic 4. Yes, but the game’s whereabouts in the timeline were never officially established to begin with. So basically everything that was said is a waste of time. I’ve read fans speculating and giving their thoughts on where Sonic CD fits in (between Sonic 1 and 2 seems to be where most put it), but there has never been any official source that confirms where it goes. I would’ve preferred it if Ken Balough had explained exactly where Sonic CD does fit in. That would’ve cleared things up, and given a definitive answer as far as where Sonic CD OFFICIALLY fits into the timeline. I’m aware of that, and yes it would have been nice if Ken Balough could have given the game a spot. I’m just reporting that he’s saying that the game’s not being placed where we previously thought it was going to be put and things are back to how they once were. So……it’s inbetween Episode 1 and Episode 2? No, it’s NOT being moved anywhere at all. SEGA’s never given it a place, but Ken Balough is saying it happened when it happened. Sonic CD’s events are important to Sonic the Hedgehog 4, but Sonic CD isn’t being placed before or between Sonic 4. Sonic 4 is basically using Sonic CD as reference material. Yeah, SEGA’s not ever given Sonic CD a spot in the timline, but yeah, I was basically saying that the games have still happened like that and Sonic CD isn’t getting moved around like we thought it was. Somehow, I’m glad that Ken cleared this up. Sure he didn’t state when it was set (so we’re back to square 1), but for me, I would at least place Sonic CD in between S1 & S2. My theory could be that since Robotnik/Eggman couldn’t control a dwarf planet, he could create his own mass orbital weapon – thus, the idea of the Death Egg. & also because Sonic’s sprites from S1 is re-used (smaller than the S2 sprite). That’s my guess really. I tend to try & make sense with some games chronological order, & just because Sonic CD came out publicly after S2, doesnt nessecarily mean it’s set after it (e.g. Sonic Battle is possible to set after ShtH since Shadow has all of his memories regained in Battle). First off why isn’t the fanboys out there standing up an shouting that Sonic CD took place between Sonic 1 and Sonic 2? Though the game it self was released in ’93, cause at one point during the devlopment of Sonic CD and Sonic 2 they wanted CD to be released first and have Sonic 2 follow along behind, but the team working on CD didn’ t want to rush the game so they decided to released the game after Sonic 2. its kinda funny that Ken decided to use this arguement to leak to the public that Metallix is going to be in part 2 of Sonic 4. … Isn’t Metallix a character from Sonic the Comic? Metallix is Metal Sonic’s name in Sonic The Comic. Metallix and Metal Sonic is one and the same. I just refer Metal as Metallix to avoid confusion. Not to be nitpicky or anything, but how is this avoiding confusion? You’re referring to a character who is known worldwide as Metal Sonic by a name that was used exclusively in a long-dead comic series that was only available in the UK. How can people not understand this? Its so simple…Sonic CD happened in 1993, but its not being placed anywhere. There’s no such thing as Sonic 1, Sonic CD, etc, or Sonic 3&K, Sonic CD, Sonic 4, etc. NO! Ken is just saying that Sonic CD is important to Sonic 4. Btw, im calling this right now. We are going to see Amy in Ep.2…..just watch SEGA pull a move like that. I just really wish SEGA would do something original….if Ep. 2 is anything like CD, im going to be really dissapointed in SEGA’s efforts. So Sega are going to continue to let fans decide where they think it goes, rather than telling us? I’d say that’s the best idea. Everyone has their own idea of when it happened, after all. I just decided this whole issue is hilarious. He probably hits a past pole while chasing eggman and thus gets flung back in time(like in generations) relives the that adventures comes back resumes current adventure in episode 2 which I’m assuming will have some sort of time travel mechanic as a random time post out of nowhere is just weird. I dunno does that mean like sonic in the end of sonic 4 ep1 goes to a past sign and then goes into the past to sonic cd (and becomes classic sonic) then in the end he goes forward in time and continues ep2 as modren sonic? This is kind of like in the 90’s. SEGA has said that back then they used to talk like Sonic was real and they’re doing that here with the whole going back in time to Sonic CD thing. Wasn’t this post created to say that Sonic CD does NOT take place between the first two episodes of Sonic 4? I think Sonic Battle happens after Shadow. Only because, Shadow seems to remember his past in that game. It confuses me how people put Sonic CD between Sonic 1 and Sonic 2, due to the fact Metal Sonic is superior to Silver Sonic. Why would Eggman downgrade his robot Sonic design? Also, Tails makes a cameo in Sonic CD, so it would make sense to take place after Sonic 2, just minus Tails as a playable/tag along character. well actually in sonic CD all metal sonic could do was run forward with that shield. And it doesn’t make sense for it to take place after sonic 2 because right after sonic 2 you go right into sonic 3. As they land from the plane on angel island while the death egg falls there. So it only makes sense that it’s before sonic 2. If it wasn’t then sonic 3’s opening doesn’t make any sense especially because why didn’t eggman just use the death egg during sonic CD? “Silver Sonic” is just a fan nickname. Its actual name is “Mecha Sonic” and the Sonic robot in Sonic 3 & Knuckles is “Mecha Sonic Mk. II”. There’s no actual indication that Mecha Sonic was actually made out of Silver. It was actually just made out of steel. Also, while Mecha Sonic Mk. II is more powerful than Sonic CD Metal Sonic it’s been said that Dr. Eggman views Metal Sonic as his greatest or favorite Sonic robot, which is why Metal Sonic is still around and the other two were never seen again. The Tails cameo seems to support Sonic CD going before Sonic 2, though. It’s only visible by entering a code in the sound test menu, and it’s just a picture of Tails with the words “SEE YOU NEXT GAME” on it. Sonic CD was originally supposed to release before Sonic 2, so this was probably put in the game as an easter egg foreshadowing Tails’ first appearance. Now when in the story line did sonic lose weight? What have you been playing? Tetris? Yes, Tetris is a platformer. Maybe you guys just don’t understand what “continuity” means. Allow me to explain: In Sonic 2 the Death Egg gets blown up, in Sonic 3 Eggman fixes it, in Sonic & Knuckles he launches it again. This is what we call “continuity”. Believe it or not, there are further examples! In Sonic CD, Amy is introduced and kidnapped by Metal Sonic. In Sonic Adventure, Amy appears again, accompanied by a flashback in which Sonic rescues her from Metal Sonic! Who knew, right?! And then, and I just know this one will blow your mind… In Sonic Adventure 2, Shadow is introduced. Then, in Sonic Heroes, Shadow appears again! It’s almost like magic, I know, but if you keep yourselves calm you will understand it. I either think of Sonic CD being between 1&2 or even just as a spin-off to the series with Amy and Metal Sonic and the time travel gimmick. 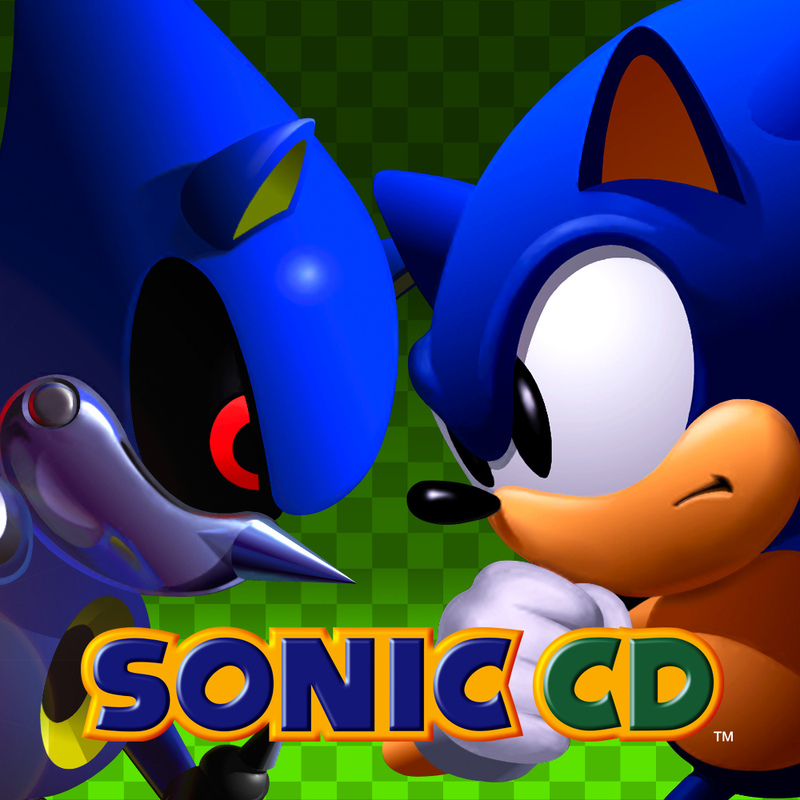 My opinion: CD comes after sonic and knuckles. Then, as is shown in the trailer, sonic hits a time post after 4 ep. 1(my theory is that Eggman placed it) and relives cd. How about we just separate the 2 of them lest SEGA get lazy and claim Sonic CD is Sonic 4 : Episode 3 or something. I told you guys not to freak out over this one and look what you gone and did. @Sock fox: I thought the Tails Cameo was a reference to Sonic Drift? Never mind, It doesn’t matter. @PlasmaKnight: That’s… Not such a bad Idea. Everyone says Sonic 06 is a bad game, but once you get used to it it’s not too bad… Sonic 06 3ds would be good, because they could fix the patches, but I think the graphics are a bit to advanced. A sonic adventure port though… That’d be good…. SEGA: Sonic’s new enemy is messing up the timeline! SONIC: More than it already was?!? I doubt it… since in between Sonic CD and Sonic Drift they released Sonic Chaos, Sonic 3, Sonic Triple Trouble and Sonic & Knuckles. I doubt very much that they’d even thought of making Sonic Drift when CD was in production. I’m beginning to wonder if people had even played Sonic CD before commenting here to know it takes place in three separate timelines. From Balough’s comments, all that’s made clear is Sonic 4 is AFTER Sonic CD, it doesn’t matter where Sonic CD stands, but the events of Sonic CD are important to Sonic 4 Ep 2. The past element in CD was never stated to be before Sonic 1. Whos to say that Sonic going to the past doesn’t coninced with Sonic 1. Since in CD Sonic 1 would be in the Past. *we’re gonna give all you fans a chance to experiance CD for the first time in years* Most of Us experienced it on Sonic Gems collection. so this isn’t the first time in years lol. Sonic Gems collection was for game cube man, 2005 i believe. it was around 6 years ago. So yes it’s the first time in years and the first time for anyone who had ps3 or xbox 360 for their first gaming systems. It would clear a lot of things up for those who don’t understand yet if they started the Sonic CD remastered edition with Sonic from Sonic 4 hitting a ‘Past’ pole as an intro, followed by the Sonic CD main menu or something. I’ve personally never played CD although I’ve been wanting to play it. But as for the whole timeline thing, I just thought of it as a simple spin-off between the release of Sonic 2 and Sonic 3 (so there wasnt a whole years worth of wait for the 3rd Sonic sequel to be released). As for its relation/importance to Sonic 4 Ep2… are they gonna be scrapping off ideas from CD now like what Ep1 did with Sonic 1 and 2? I remember someone posted it on Sega forums durning “Canon war” someone from SEGA. Sorry but while Secret Rings is con-canon Black Knight is still labeled as non-canon. Tho I consider it canon. I always thought that Black Knight was more canon than Secret Rings. O.o More continuities, I guess. I can’t say much about the Rival series, Riders series, & Knuckles’ Chaotix since I haven’t played them much or haven’t played them at all. So Sonic fans have started caring about timelines in the same way Zelda fans do? It is a dark day for us all. Seriously… does is this really matter when it happened? I mean, it is a damn game, just play it and be happy that you can play it. Honestly, some people are having way to much time and no life. Sonic CD obviously takes place before the “Death Egg saga” i.e. Sonic 2, 3 & Knuckles. The ending of Sonic 2 you see Super Sonic and Tails flying over the ocean, only to later end up on Angel Island and get ambushed by Knuckles right at the start of Sonic 3 & Knuckles. So it makes no sense to fit Sonic CD between those games. Most likely after Sonic 1 during the time Sonic was still going solo. Why is this hard? What trailer is this that’s referred to? They also said the physics in Sonic 4 were fine… They’re not!!! I Reckon it goes after sonic 3&K, I mean take a look at the story for Sonic 4. They show the events of sonic 1, 2, 3 and knuckles then they stress that they all go their separate ways. Thus giving sonic the perfect location and robotnik the perfect death egg replacement. Robotnik, furious after the death egg explosion recovers and re assembles his forces, and compiles the battle data he’s acquired from the other 2 mecha sonics and created the most advanced sonic copy yet “Metal Sonic”. Searching for sonic, he heads back to green hill zone and searches, for sonic, finding nothing but the little planet pulsating this energy, and robotnik being robotnik, captres it, claims it as his, starts researching the planet’s properties, and starts turning it into a base to stop sonic with. also gives a fair reason for the whole “tails is not here” discussion and ties in nicely for sonic 4, all he has to do is learn the homing attack.